River Rouge is a favorite to return to Breslin for a third straight season. 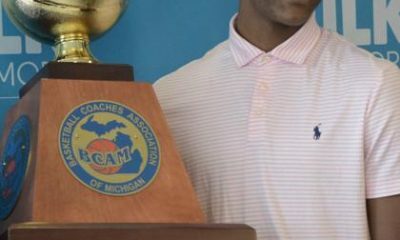 The boys’ basketball season starts a week early in Michigan. Here are some intriguing and rare November matchups. Ann Arbor Huron vs. Ypsilanti Lincoln: The 8:30 pm nightcap of games played at EMU, this marks the high school debut of the nation’s top underclassman, Lincoln’s Emoni Bates. Huron isn’t trying to be the Washington Generals, and won’t be thanks to a loaded sophomore class. Grand Rapids South Christian at East Kentwood: EK’s (lack of) size and speed shouldn’t faze South Christian too much, as much of this Sailors roster knocked Godwin Heights out of last year’s district play. South Christian is a top 5 team in Division 2, and 6-5 senior point guard Connor Kok has the length to give defensive concert to the Falcons’ top threat 6-0 junior point guard Jamoni Jones. Jones is one of four starters returning for EK. Another interesting matchup could be between 6-4 seniors Chris Brown of East Kentwood and Luke Schrotenboer of South Christian. 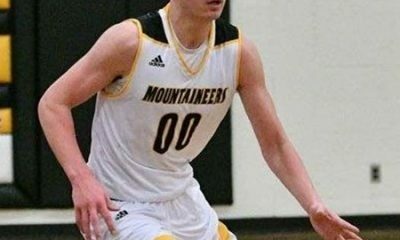 Iron Mountain at Gladstone: This game features two of the best wings in the entire state let alone the U.P., Gladstone’s 6-4 senior Reece Castor and Iron Mountain’s 6-4 sophomore Foster Wonders. 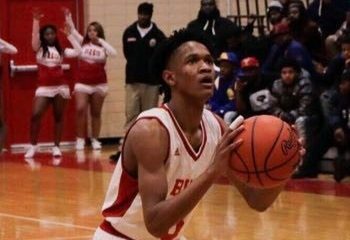 Detroit Edison at Detroit U-D Jesuit: Edison returns just one starter from its Class C state champion team, Brian Taylor, a 6-6 senior with an offer from Detroit. The rest of their lineup will be mostly young, and often long. 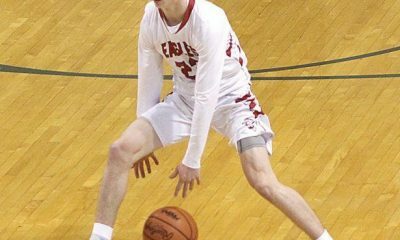 The Cubs have state title aspirations of their own, and are Bank Hoops’ No. 1 team in Division 1. 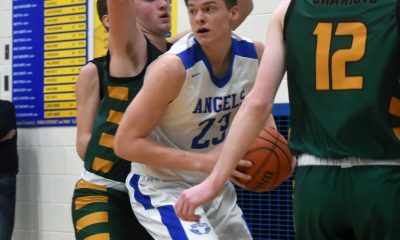 Linden at Flint Powers: Two 2021 kids trending as mid-major prospects, Linden sophomore marksman Blake Lund and Powers’ versatile 6-7 sophomore Owen Lobsinger. The Chargers must replace the heavy usage of 2018 all-state guard Cameryn Carpenter. Marshall at Hanover-Horton: Twins abound here — and not just a curiosities, as all four kids can play. For Marshall it’s 6-7 seniors Jack and Jeremy Luciani, who signed with Indiana Tech. For Hanover-Horton, a top 10 team in Division 3, it’s 6-3 juniors Luc and Rhett Laketa. Detroit King vs. River Rouge: The third and 3:30 pm game of the slate of six for the Horatio Williams Classic at Cass Tech. 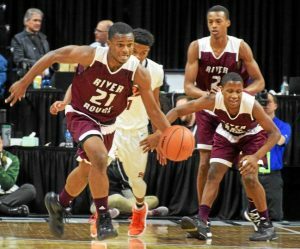 River Rouge may have a new/old coach in Lamonta Stone, but he inherits four starters from last year’s Class B state semifinalist team. 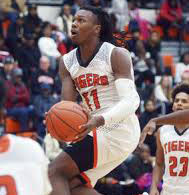 The Panthers’ have a loaded frontcourt with 6-6 senior Dan Few who signed with Lake Superior State, lanky 6-6 senior Micah Parish who has a Detroit offer, 6-6 sophomore Legend Geteer who has high-major potential and freshman Marquise Davenport already a 7-footer. As always, MLK will try to keep the score down and grind it out. Detroit U-D Jesuit vs. New Haven: This is the 4:30 pm game from the Catholic League vs. MAC challenge at Calihan Hall. 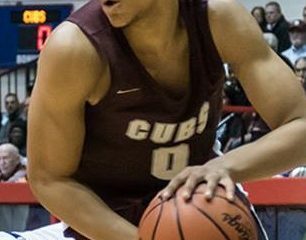 The Cubs are the state’s top team, with veteran size and guard play. 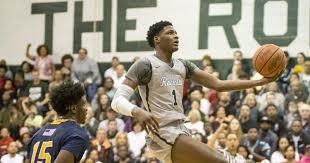 New Haven lost just one game a year ago and returns the runaway favorite for Mr. Basketball, 6-6 DePaul signee Romeo Weems.